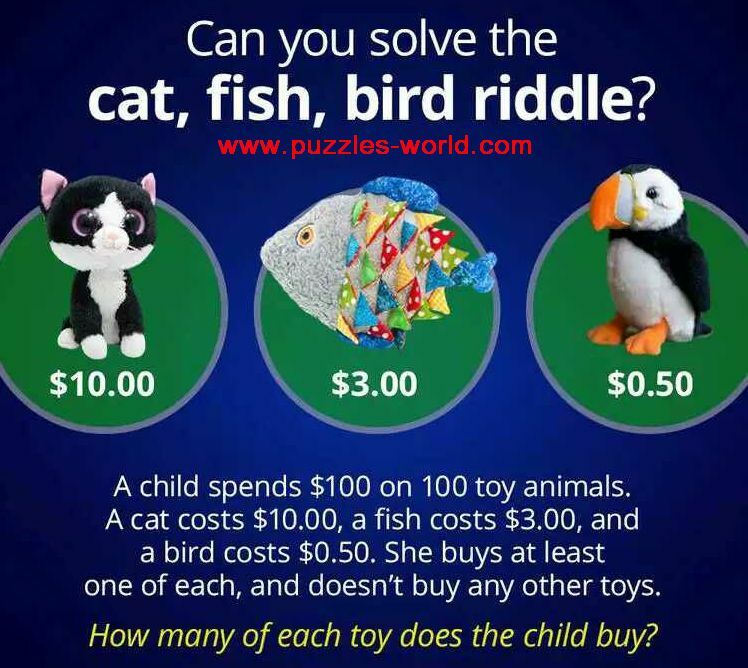 Can you solve the Cat, Fish, Bird Riddle ? A child spends $100 on 100 toy animals. and doesn't buy any other toys. How many of each toy does the child buy ?